Our friend, David Chapman, passed away last October (2017), in St. Louis, Missouri, but his memory lives on. Chapman was a regular at the 3 wall handball courts at Forest Park, just a few miles from his office and recently made a comeback to the sport of handball, and those courts, after being away for nearly four years. Chapman all-but seemed to perfect the 4 wall handball game, indoor, but… had a deep passion for the outdoor game. 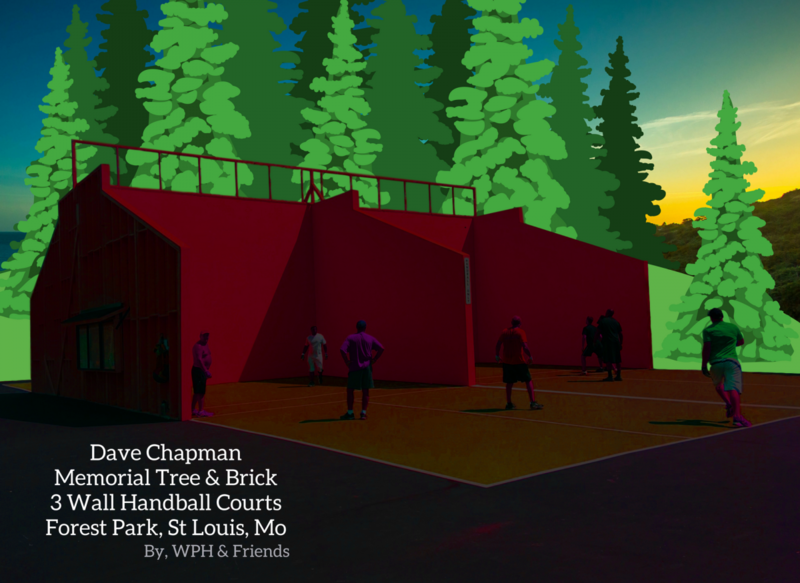 Chapman’s recent comeback began about this time one year ago where he rededicated himself to handball and was seen quite frequently at the Forest Park 3 Wall courts. In Las Vegas, (circa Sept 2017) approximately three weeks before his passing, Chapman did the unbelievable when he entered multiple pro handball divisions and placed second in the coveted all-around division (WPH Xrossover @ X-Fest); his first major tournament event since he was in his mid 30’s! Now 40, Chapman was rejuvenated and ready to take on the best 4 wall indoor players of the day, but he simply could not shake the outdoor game off that easily. A weekend after Vegas, Chapman hosted a mini challenge at the Forest Park courts with X Fest #1 Timothy Gonzalez (NY), Chava Cordova (CA), Sal Duenas (CA) and friends. This would mark the last time Chapman played handball before his passing. Today, a Saucer Magnolia has been planted, in the name of our fallen hero, and will serve as a guardian to look over the handball courts; while providing shelter from the hot sun or refuge from those spring rains. 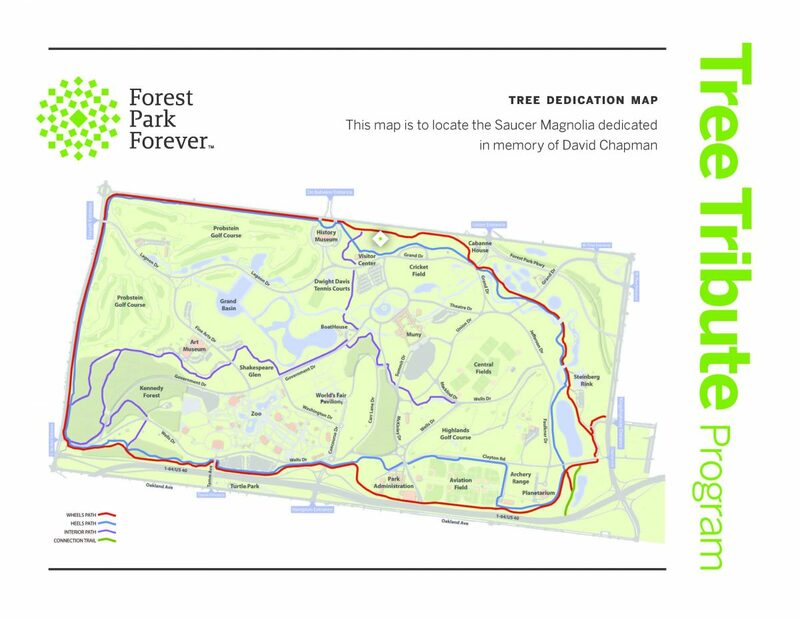 Below, you will find the map of the Saucer Magnolia. 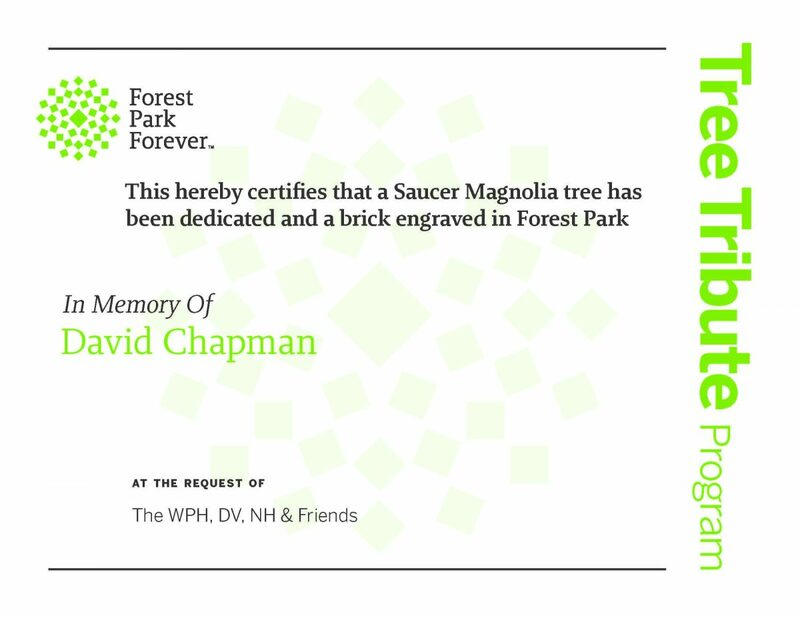 While making your way to pay tribute, look for the engraved brick on the path at your feet. Chapman’s name and memory is forever embedded among many that line the park’s walkways.